I also have other Ottawa Valley family connections from the 1800's, Howe (Hough), Jewell (to Pontiac County), Lee and several other more extended family names. 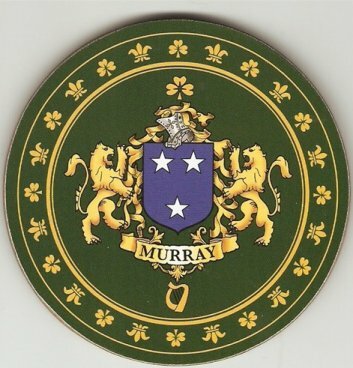 with more information on the Murray's. Thomas (1836-1915), Michael (1837-1861), William (1839-1898), and Edward (1843-1865). A 5th child John was born and died in 1845.
more children most of whom were born in the Smiths Falls area. Now getting back specifically to Thomas and William Murray. Thomas (1836-1915) married Jane Copeland. I'm not aware of children from this marriage. and more biographical things about their lives. William as such outstanding individuals. on the net and Wikipedia. (see attached references and separately attached to this email are the portrait images). The article on Thomas indicates he was a businessman in Ottawa before moving to Pembroke. Also on the net is an article on the current day Murphy Funeral home which I understand was originally the home of Thomas see ref. This link is one of the snippets of info that I have found referring to some of the Murray's business interests. I would be pleased if you started a page on the Murray - Burrows. I'm sure there must be more info out there on this accomplished family. Emma Alice Foran in 1901. The Foran family name is the same as William's first wife who I understand was Margaret Mary Foran. (This Foran family may be related to the family of John Foran. Some interesting letters were written from Newfoundland to the Foran family back home in Ottawa). Transcribed by Mary Quinn. again later in Montague Township, Lanark County and still later in Belleville. Ontario where his first son via Elizabeth Burrows, John Bourke was a prominent citizen. John Bourke was the first mayor of North Bay, ON. and did come to own much of the Murray Bros. interests when they divested their North Bay mining holdings. County Offaly and the other is now County Laois ... Al). 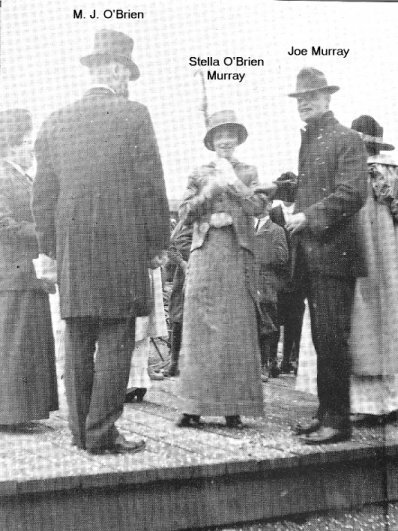 Her parents were John and Jane Murray. John died in Goulbourn sometime before 1842 and Jane, born 1782, died in Carleton county in August of 1874. James John McKay). I have son James born abt 1811 in King's county, Ireland and dying in Goulbourn on 2 Dec 1844. Prominent men of Canada : a collection of persons distinguished in professional and political life, and in the commerce and industry of Canada. I have quite a bit of information of the children of John and Jane if you are interested. in Goulbourn on 09 Dec 1845. It is my understanding he died as a result of a horse accident. Either there may have been Murray (another family member ?) in the business or my information could be inaccurate. have some info on the children of James Murray (1811-1845). Actually it was a Burrows family who had the tavern at Franktown, down the road in Lanark County. by a family member and researcher. Thank you for forwarding this information. Stella O'Brien was a daughter of M. J. O'Brien and Jane Barry of Renfrew Ontario, railway contractor and owner of silver mines in Northern Ontario. He was appointed to the Senate of Canada in 1918.